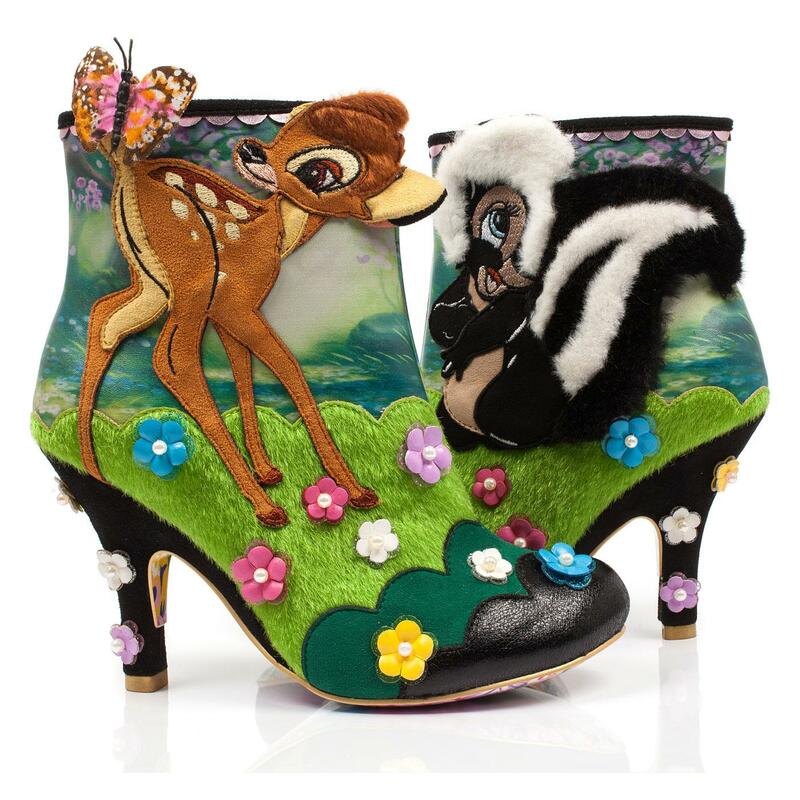 Irregular Choice x Disney's Bambi Woodland Playtime boots. 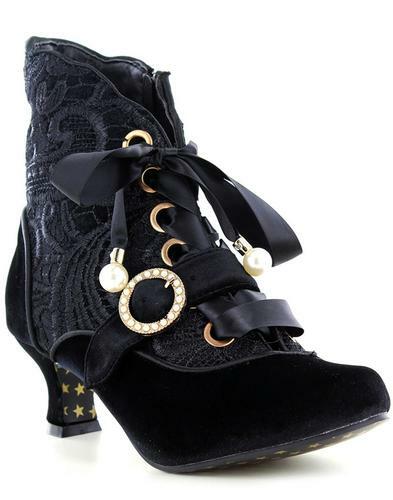 Fabulous high heel boots from Irregular Choice. Strictly limited edition, the Bambi and Flower Woodland Playtime boots are once of the centrepieces of the Irregular Choice x Disney's Bambi collection. Flower and Bambi are anything but bashful when it's playtime! Featuring pearly-studded posies and a soft fluffy finish make these fanciful high heel ankle boots a real-life woodland wish come true! 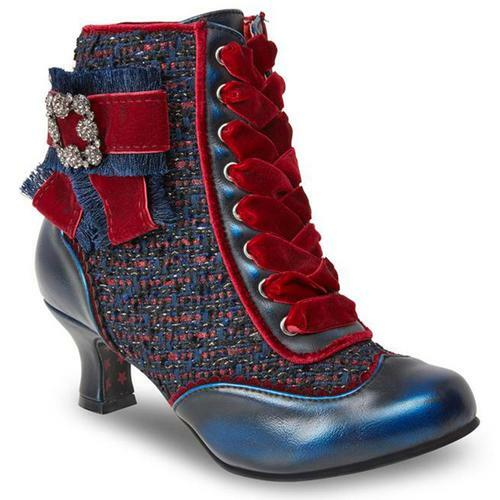 A tall 9cm heel gives these boots an extra special twist too. Made to match the Irregular Choice x Disney's Bambi Woodland Playtime bag. Gosh! Irregular Choice x Disney's Bambi limited edition Woodland Playtime boots. Featuring exclusive Disney's Bambi & Flower woodland appliqué design. Black with appliqué features including flowers, pearls, grass and fluffy Flower and Bambi. Zip fasten on the inside. 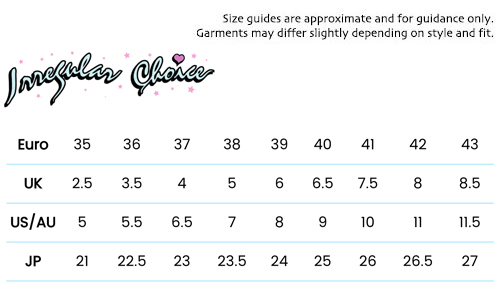 Composition: Fabric & PU upper, fabric lined, other sole.